Thailand has become a prime target for Indian seeking to make their fortunes as illegal money lenders in the country. Personal debt and illegal loans are a huge issue for the country causing untold misery among the Kingdom’s less well off. It is also a huge dead weight on the Thai economy. 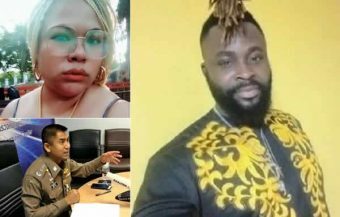 A discovery by Thai Immigration police in Bangkok has revealed a nest of illegal, sham marriages being used by Indian men to stay on the country. Most of them are moneylenders and sales representatives engaged in the business of selling consumer products to less well off Thai people on hire purchase. Court orders for arrests have been issued for 30 Indian men and 30 Thai women. The case highlights the growing problem and burden of illegal money lending in Thailand and the negative impact of high personal debt on economy and on families. Thai police obtained court orders for the arrest of 30 Indian men and 30 Thai women as it investigates sham marriages in the Bangkok area linked with Indian money lenders and Hire Purchase salesmen. The police are now preparing submissions to have the legitimate marriage certificates obtained through fraud, rescinded. The scandal highlights the huge problem of illegal money lending in Thailand, its links with Indian nationals and the misery it spawns in addition to corruption. 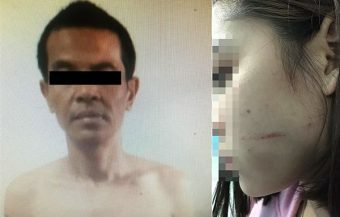 Thailand’s Immigration police have unearthed another corruption scandal within the immigration system and one linked to criminal activity which generates huge suffering in the country. 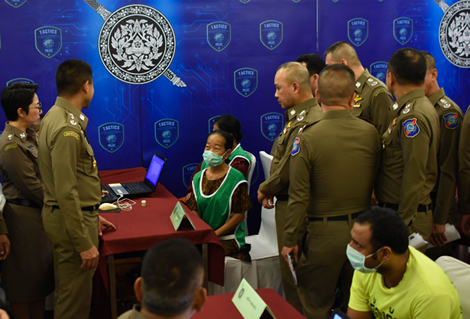 The arrest this week of 10 men from India and 24 Thai women of those sought brings to light a scam network whereby Indian moneylenders are using Thai woman to create false marriages in order to stay on in the country. The illegal money lending trade in Thailand is one that has been in the sights of the military government since 2014 with a number of crackdowns. It is illegal in Thailand to charge over 36% interest per year on loans. Many Thai people themselves infringe this law and charge 5% and 10% per month. This lending is illegal but goes on between friends in a casual manner. However, in the last two two decades, there has been an influx of money lenders from India into Thailand who charge interest rates of 20% per month. 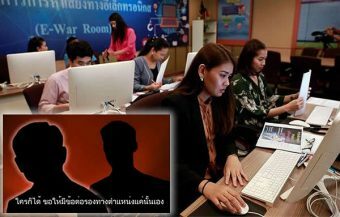 The fake marriage scam unearthed by Thai police involved a number of Indian men forging marriage certificates with the connivance of Thai women in order to extend their stays in Thailand. Most Indian money lenders arrested by Thai authorities in recent years were found to have entered the country on tourists visas initially. Thai police have now obtained court orders for the arrest of 30 Indian men and Thai women after unearthing a trove of bogus marriages registered with state agencies on the grounds that the information within them is corrupt and untrue. 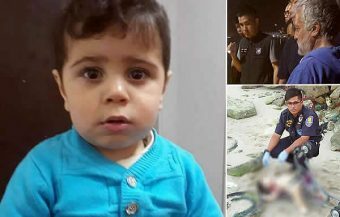 The discovery of the irregularities centres for the moment on the Bangkok area where immigration police made the discovery. 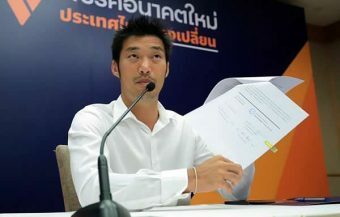 The police have revealed that the irregular certificates were used to obtain extensions of visas to remain Thailand or what immigration lawyers term a spousal visa. 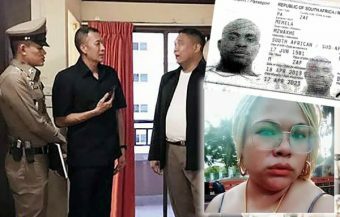 Police in Bangkok say the Thai women involved were paid fees from ฿500 to ฿5,000 to cooperate with the fraudulent applications to Immigration bureaus. 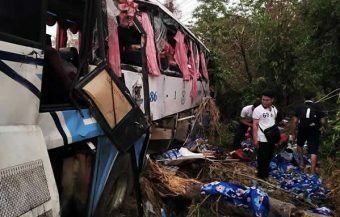 It is a similar pattern to corrupt practices unearthed in recent months in Thailand’s northern provinces, again involving Indian and Bangladeshi nationals. The people arrested so far are the first of the 60 individuals to be brought in by police. Thai police are now working on getting orders to legally reverse the corrupt marriages filed at government offices and for which legitimate marriage licences were issued. 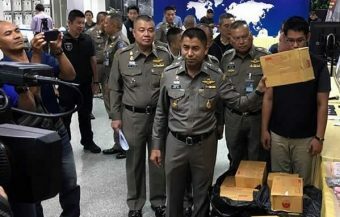 The police have revealed that as well as moneylenders, the men involved in the racket sold goods to poor Thai people on a pay by installment basis. Borrowing money on a casual basis at high interest rates is a way of live for most less well off Thai families. It is, curiously, an activity which in most occasions involves Thai women. 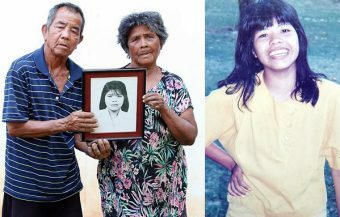 Thai women, like many women in some parts of Asia, take a deep personal responsibility for a family’s finances particular when they are tight. In addition, nearly three quarters of small business traders in Thailand’s grey economy are women. Borrowing money every month or two weeks at 5-20% per month is a fact of life for many. Thai people, when they have recourse to banking facilities, are prone to these practices. 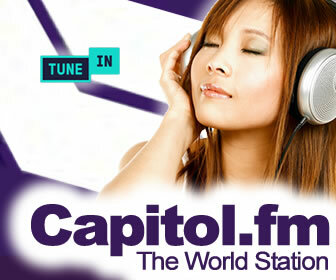 However there now initiatives from Thailand’s banks to improve the situation. 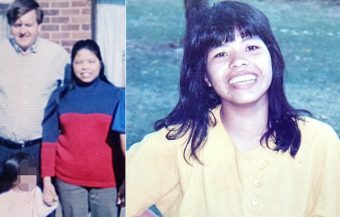 It is one of the greatest social problems in the country and among the leading causes of human misery alongside drugs. There are government campaigns every so often to root out the menace. These are, in fact, effective but the lenders reemerge. 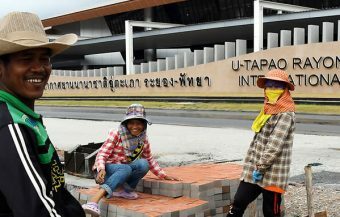 It is simply a matter of survival for many Thai men and women when they need to make ends meet for themselves or their families. 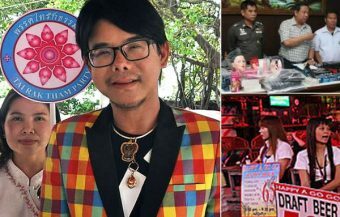 For some, less prudent, Thai men or women, the moneylenders can be simply a way to splash out and enjoy the dream lifestyle for a week or maybe a month. In a country where extravagant wealth is increasingly seen in huge, expensive shopping malls, on the streets and on TV, this can be irresistible for some less well of Thais. Or even for well heeled and middle class professionals, money lenders can present a huge temptation. Particularly if there is some emergency or crisis, both real or imagined. 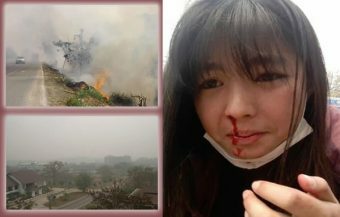 Thai people have a strong desire, always not to lose standing or face. 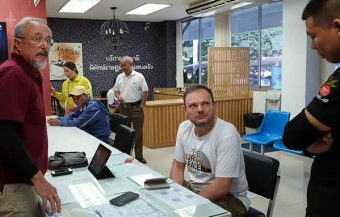 It is not unheard of for some Thai people to be paying 40 to 60% of their monthly salary to illegal money lenders for debts that that they have taken out months or even years ago and on which, they have never paid back any capital. For instance, a Thai woman takes out a loan of ฿175,000. She has to pay ฿35,000 per month in repayments. She may be a skilled professional or middle class woman with a bad credit rating which prevents her from accessing normal finance. Her monthly salary may be ฿50,000 and she lives on the balance month to month. The money lender will have recouped his outlay in five months, everything beyond that is profit and the woman still must pay off the whole debt. This is what attracts Indian and other foreign moneylenders to Thailand. The only way out for the woman is to find a friend to help or get a loan at a lower rate which can often be easier said than done. 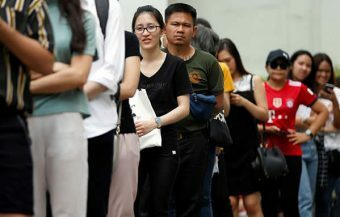 For some Thai people, they are often borrowing from one money lender to pay another and trying to survive while juggling the financial balls. A nightmare. The nature of the Thai economy and the culture of the Thai people makes Thailand an ideal target for these predatory lenders from India. 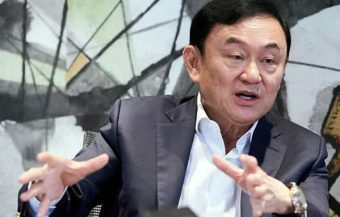 By some estimates, up to 60% of the real Thai economy is off the books or unregulated except for minor tax payments and some registration activity. 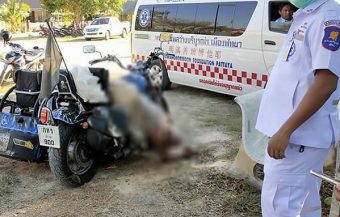 There is no real social welfare system in Thailand. One of the key targets for these lenders are small Thai business people operating one man businesses or even small family run concerns. The need for cash at critical times and the conservative nature of Thai bank lending policy can make these lending options attractive. Or perhaps the borrowers use both. Key data from Thailand recently showed that up to 74% of Thai households had defaulted on a debt. Thailand has a pretty modern bankruptcy system but debt matters in Thailand can become criminal matters easily if there any dishonesty or lack of frankness. Many Thai people live in fear at the prospect of legal actions over debt. Debt in Thailand is rarely forgiven as may sometimes be the case in western society. Thailand is a country where people form deep interpersonal relationships because of its culture and people will often borrow money informally from each other. In some instances, the terror of ‘losing face’ will drive an anxious borrower into the hands of the loan sharks. The fact that these people are India, perversely, makes it easier for some Thais to accept. The activities of Indian loan men now extends to all part of Thailand and is causing untold misery. Thailand’s government has made great progress at reducing poverty in the country in the last three decades from 45% in the mid 1980s down to 7 to 8% today. However there is still chronic poverty in certain parts of society or among people who are in debt. Personal debt in itself is a huge impediment to growth in Thailand and difficult to deal with as there is no reliable information. To put the problem in perspective, 40% of Thailand’s farmers are still living on an income of $84 or over ฿2,600 per month. To many people in Thailand, debt is simply an essential means of survival until the debt becomes chronic and spirals out of control. 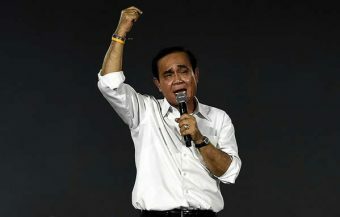 A recent push by Thailand’s army and Deputy Prime Minister Prawit Wongsuwan has seen hundreds of Thai people rescued from money lending arrangements or had their land registration deeds returned.